Presidents Nkurunziza and Museveni. The two were some of the 'first' African presidents to send congratulatory messages to US-President-elect Donald Trump. 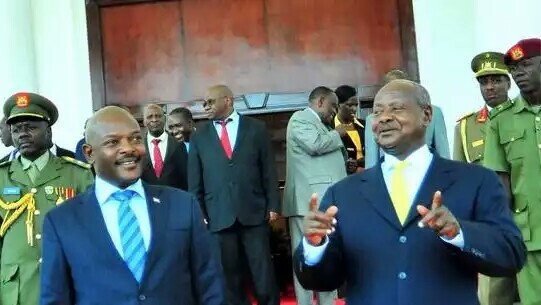 Embattled Burundi President Pierre Nkurunziza has expressed confidence in his Ugandan counterpart Yoweri Museveni, to continue chairing the mediation efforts in his strife-stricken country. Addressing the press shortly after meeting with a 15-man UN Security Council delegation, Mr Nkurunziza said Museveni understands the problems of his country. “We told (the Security Council) that he is somebody who knows very well the problems of Burundi,” Nkurunziza was quoted as telling reporters. 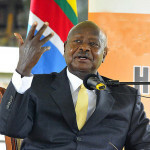 In June last year President Museveni was appointed by the East African Community (EAC) to mediate between the warring factions in Burundi, which have previously held meetings in Uganda. However, Mr Museveni’s tenure as mediator has faced challenges from different actors, prompting the US to call for a change the stewardship of the talks and venue to Arusha. Meanwhile, the US to the United Nations Ambassador Samantha Power has said little was achieved during the two-hour meeting with Mr Nkurunziza in Gitega, on the outskirts of the capital Bujumbura. 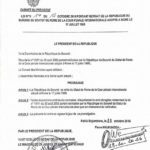 It is the council’s second visit to Burundi in less than a year. “In this meeting we did not achieve as much, frankly, as I think we would have liked. But we never give up, the cause of peace in Burundi is too important to give up,” Ms Power told reporters after the meeting. The meeting came a day after rebels in the tiny African state raised the stakes in the crisis by declaring a general who led a failed coup in May as their leader, deepening concerns that Burundi is sliding back into conflict after its ethnically charged civil war ended in 2005. On Thursday the rebel group, FOREBU, announced that it was now commanded by the former intelligence chief, General Godefroid Niyombare. The group said it welcomed international mediation but also called for Burundians to support their fight against Nkurunziza. But Ms Power has made it clear that the Council wants to see more dialogue and an enhanced UN presence in Burundi. Nkurunziza’s re-election for a third term sparked the crisis, which has raised fears of an ethnic conflict in a region where memories of Rwanda’s 1994 genocide remain fresh. The government insists there is no ethnic bias, but opponents say districts of Bujumbura where many Tutsis live – and which were also hotbeds of protest against Nkurunziza last year – have been targeted with some Tutsis singled out. The UN estimates the death toll at 439 people but says it could be higher. More than 240,000 people have fled abroad. “This development shows why the UN Security Council is concerned about the risk of a downward cycle of violence,” British UN Ambassador Matthew Rycroft said. Burundi’s government has accused neighboring Rwanda of supporting a rebel group by training and arming Burundian refugees recruited on Rwandan soil. Nkurunziza raised those accusations again on Friday with the Security Council. “The threat is not from within Burundi, it comes from outside,” he told the council. “The Rwandan government must be told to stop.” Rwanda has previously dismissed the allegations. “We’ve expressed concern about the allegations of external interference … and it’s very important that nobody support armed opposition groups no matter what they assess the history,” Power said. 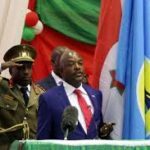 Meanwhile, Nkurunziza has persistently rejected the deployment of an African peacekeeping force, saying the troops would constitute ‘an invading force’. The contentious issue that also seems to have put the West, Russia and the African Union in conflicting positions is expected to be a focus for an AU summit at the end of January. “It’s not peacekeepers that the Burundians need. What they need is to increase their own capacity, especially their police capacity,” Russia’s Deputy UN Ambassador Petr Iliichev said. “Maybe what we need is some kind of policing mission, either advisors, either trainers or maybe formed police units that will be deployed in Bujumbura … from the African Union or the UN,” he said. Regional Western diplomats say the government has set too many conditions about who can attend talks to make them meaningful. They also say rebels may believe they can make more gains through force of arms than at the negotiating table.